An Interview with the author. – Welcome to the World of Suzanne Burke. I didn’t begin writing until later in life, I had often dreamed about it, but felt my lack of formal education would impede me too greatly. It has been a huge learning curve, but I am so delighted to have done it, and the joy of it is, I learn more, every single day. I have very eclectic taste. What I read tends to vary greatly, depending on my need of the moment. I enjoy anything written by the late Tom Clancy in the fiction selections, and will often re-read them in order. I’m not big on Romance novels, however I have read some wonderful works by Author Tom Winton …”Beyond Nostalgia” is a stand out. I read and enjoy Erotica on occasion. About the only genre outside my comfort zone is Science Fiction…but having said that I have also read the ‘Dune’ series.Plus I enjoy Science Fiction/Romance by author Greta Van Der Rol. I spent much of my early life living on the streets. I believe that this is pivotal to my writing. I have written of my life in those early years under the pen name of Stacey Danson. They were difficult books to write, the flashbacks were dreadful. I realized then, that I wanted to do more, I wanted to create a world in writing that I didn’t have to experience first hand. Admittedly though some of my character voices sound very familiar. I had been traditionally published with both my non-fiction and fiction books. Sadly both the publishers I was signed with shut down. I decided then, that I wanted more control over my work. Now, If I cease writing, then that will be my choice. All the promotional effort will have not gone to waste. I delight in creating believable dialogue. I love it when that flow is working and I can either be horrified by what my creation has just said, or laugh out loud at the exchanges. Like many authors I am my own harshest critic, so when I finally reach the last paragraph, the last edit…the satisfaction is enormous.BUT…I still want more from myself. I doubt I will ever be completely satisfied with my work, I reach a point when I have to ask myself, “So, have you done the best you are capable of doing?” If that answer is a weary yes, then I publish. Although I believe we can never stop learning and improving our craft. Everything. What are we without them? 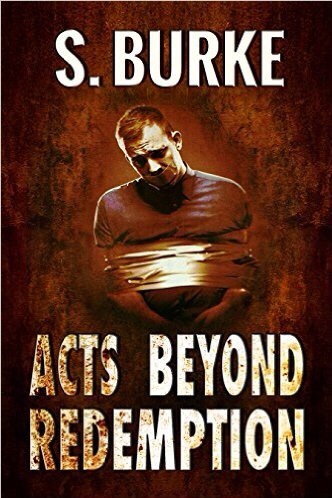 I am currently working on the sequel to Acts Beyond Redemption…”Acts of Betrayal” I hope to have it done and available by April this year. You promote other authors quite extensively on your Soooz Says Stuff blog. And appear to be doing that here as well, Why is that?